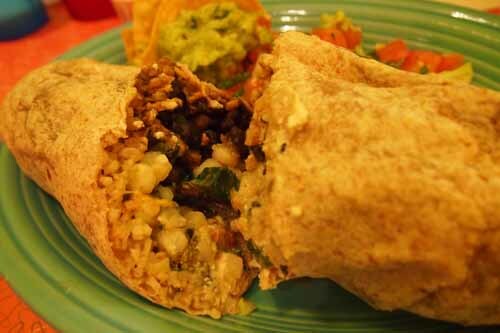 Sometimes out of nowhere, I have an uncontrollable craving for messy, filling, Mexican food. It’s during those times I thank my lucky stars for Hotel Tortuga. 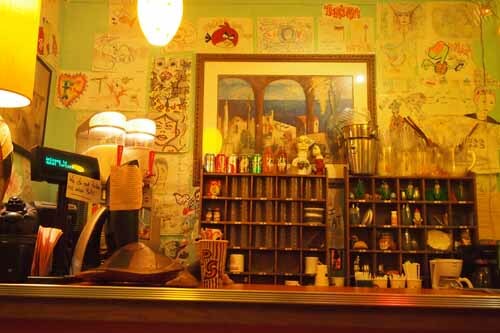 This homely, yellow-walled little nook transports you to tortilla heaven. The menu is suitable for non-vegans, vegetarians and vegans alike, making it truly versatile for parties with discerning palates… putting an end to the “I want to eat that… but she wants to eat that” dilemma. I love how the bar looks like the key holder for a real hotel. 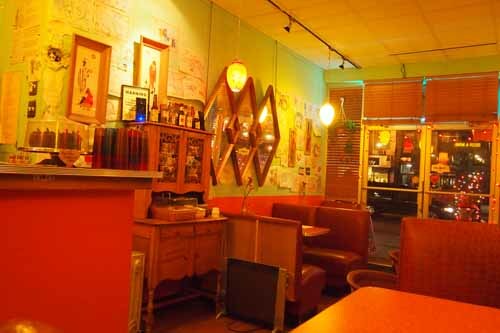 I like the colorful booths and cute Americana décor. Going through these western shoot-out style doors makes me feel like a real gunslinger. Well, at least on the way to the bathroom. The service here is pretty no frills, and is always quick to assist and answer any questions about their menu. 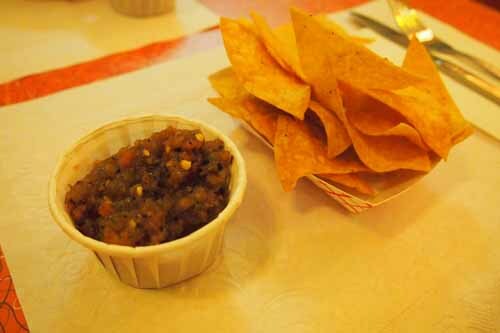 One of my favorite things about Tortuga is the complimentary chips and salsa, both of which are house-made. I really love the chips, which are the perfect combination of crispness and yellow corn. 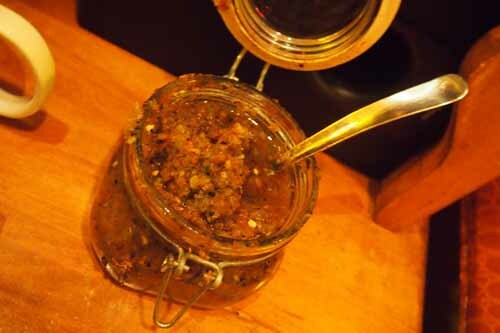 The salsa, which looks a bit like some chunky brown tomato concoction, is not my favorite, however. It has a slightly sour taste and is quite watery. However, you may beg to differ. Free chips!! Need I say more? The salsa is not my favorite. The chips are a great counterpart to your entrée. 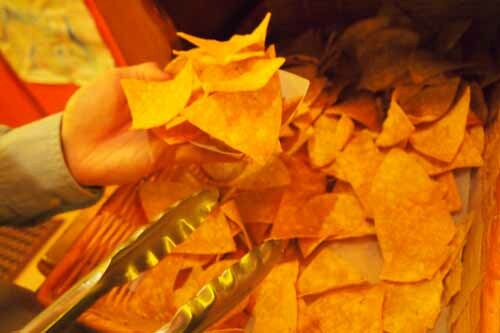 I especially enjoy using the chips as a counterpart to the dish I order… like dipping it into some beans and rice, or into the vegetarian chorizo that comes with most of their dishes. I could only finish half. That means you'll have yummy leftovers for sure. I ordered the “Green Tortuga,” pictured here. A massive combo of hearty black beans, fluffy brown rice, cheddar Daiya, vegetarian pozole and tomatillo topped with creamy tofutti sour cream, this entrée is sure to fill you up quickly. It comes with a bit of chorizo, which I like to either eat with my chips or tuck into the burrito. Rich, chocolatey and a little spicy, this cake is a bit different from traditional chocolate. For dessert, I ordered a Vegan Treats Mexican chocolate cake. The cake is a chocolate lover’s dream, with a bit of kick thanks to the cayenne pepper in the icing. I like that the cake is topped with a small cinnamon stick, but admittedly, it seems like a waste seeing as most people would likely brush it aside (I, however, bring it home & grind it for some fresh cinnamon powder, sure to be used in my next recipe). 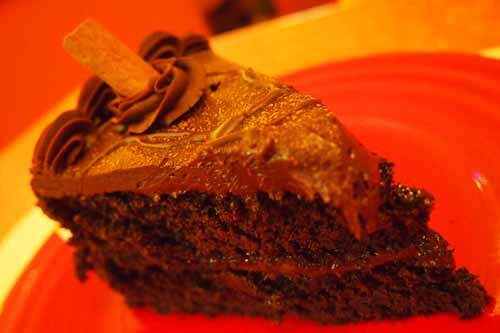 The icing is rich and very chocolatey. A bit of cinnamon is sprinkled on top for decoration, so if you hate cinnamon, it’s a nonissue since it’s not much at all. The cake itself is very moist and goes great with the icing. I enjoyed this cake immensely… though admittedly I had to sit awhile after eating my burrito to make room for it. 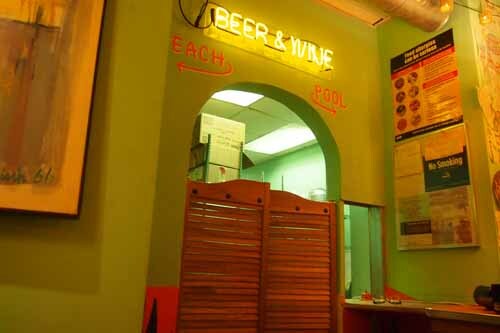 All in all, Hotel Tortuga is one-of-a-kind and also boasts a great drink menu, replete with delicious Sangria. I highly recommend it on those blustery wintery days for a quick shot of tequila… or in the summer with margaritas!